The hook and eye closure is used to attach and detach two parts, however, this ring never detaches. This hook holds fast and never lets go. It is a symbol of fidelity and eternal love. Give this ring to the person you're "hooked" on to show your unwavering love. 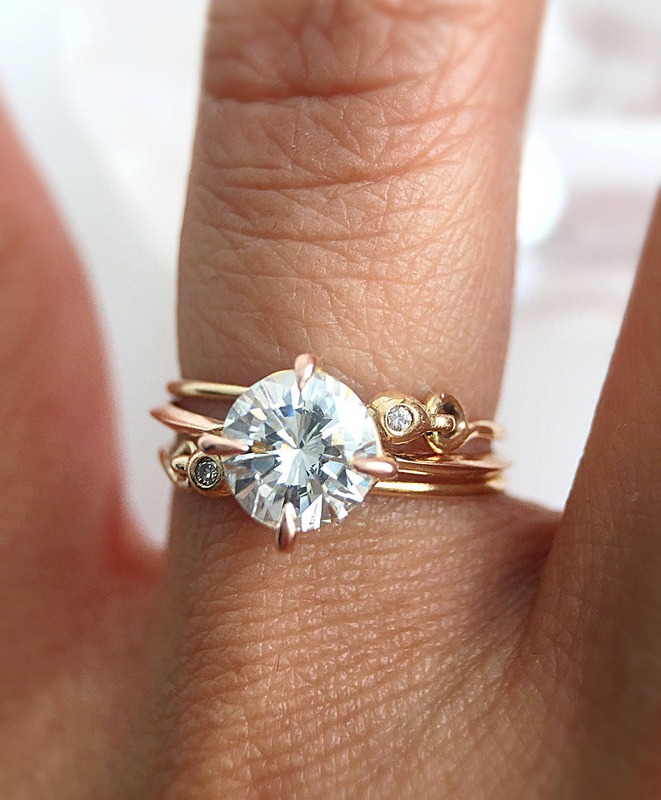 A modern classic, this super adorable dainty diamond ring makes a great stackable, a solitaire or even a midi ring. This solid 14 karat gold ring is 1mm in diameter and is connected by a hook and eye. 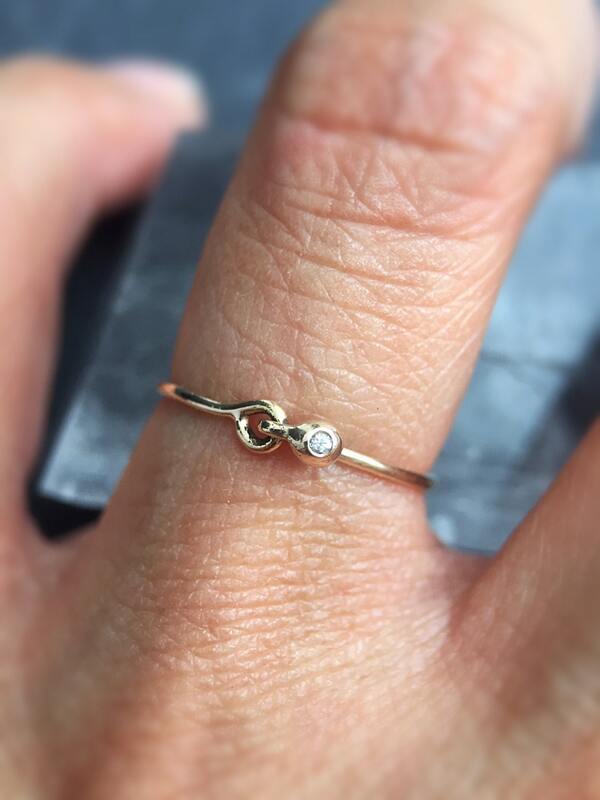 A single dainty 1mm white diamond is set inside the ball of the hook. All handmade in NYC. Also available in solid 14 karat rose gold and with emerald.